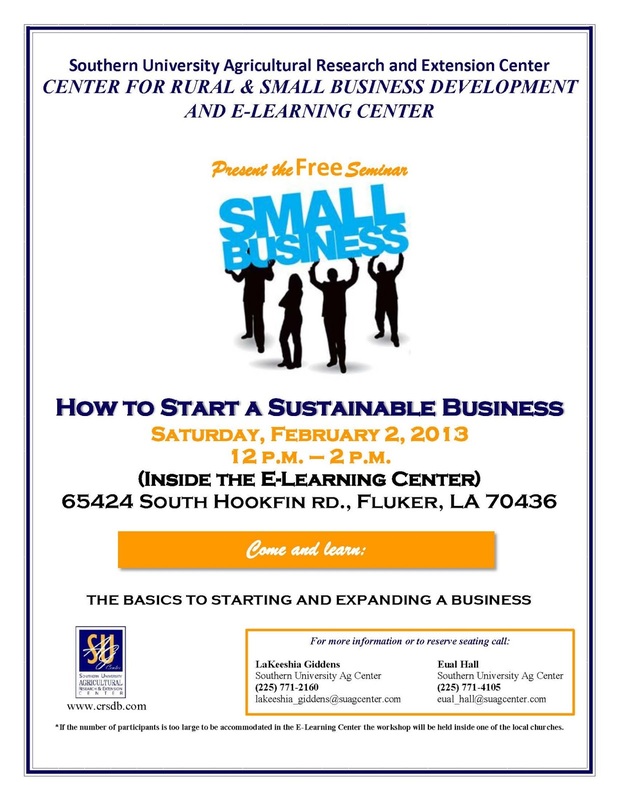 Baton Rouge, LA - The Center for Rural and Small Business Development will present a free business development seminar entitled “How to Start a Sustainable Business,” at noon, February 2, 2013 aboard the E-Learning Center, which will be parked at 65424 South Hookfin Road in Fluker, Louisiana. The seminar is open to all current and potential small business owners. Participants will learn how to start or expand an existing business and receive the forms and applications needed to legally operate a business in the state of Louisiana, as well as, information to ensure that an existing business continues to operate efficiently. 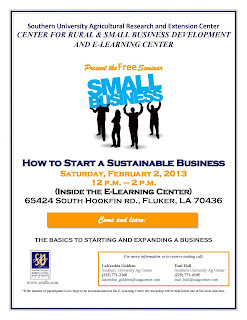 To register or for additional information about the Center for Rural and Small Business Development or its E-Learning Center, contact LaKeeshia Giddens at lakeeshia_giddens@suagcenter.com or via phone at 225.771.2160, Eual Hall at eual_hall@suagcenter.com or via phone at 225.771.4105. 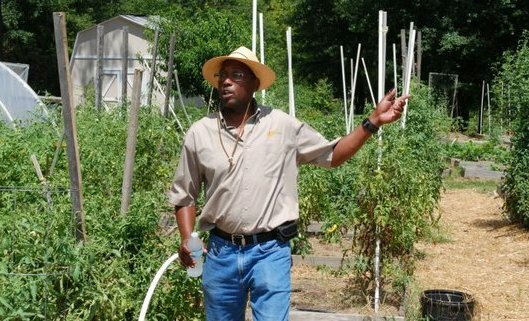 Baton Rouge, LA - An article published by Civil Eats entitled “Farmer Knows Best: How Mentoring Programs Can Help the Next Generation of Farmers Land on Their Feet” mentioned Small Farmer Agricultural Leadership Institute as one of the mentoring programs that help the next generation of farmers succeed. The Agricultural Leadership Institute is a course of study specifically designed to guide small, socially disadvantaged, and limited resource farmers through the process of becoming more successful agricultural entrepreneurs. Brennan Washington, a former IT employee turned owner and operator of Phoenix Gardens, LLC, is a graduate of the program. He talks about his mentoring experience. Click here to read the full article. Dr. Dawn Mellion Patin, agriculture specialist, is director of the Small Farmer Agricultural Leadership Institute and can be reached at 225-771-2242. Baton Rouge, LA, Jan. 28, 2013-Agriculture Secretary Tom Vilsack continues to remind producers to complete forms for the Census of Agriculture-the only source of uniform, comprehensive and impartial agricultural data for every county in the nation. The 2012 Census of Agriculture will provide the U.S. Department of Agriculture (USDA) with current information to help ensure an abundant, safe, and accessible food supply for all of America. Speaking to thousands of American farmers and ranchers in Nashville, Tenn, Vilsack emphasized that the Census of Agriculture is one of the most important tools for providing certainty to producers and sustaining the unlimited economic potential of rural America. Completed forms are due by February 4, 2013. Visit USDA for the full story. Baton Rouge, LA, Jan. 28, 2013-Louisiana Small Farmer Boatner Ware of Richland Parish farms about 400 acres of wheat, which he double crops with soybeans, on some of the richest soil Louisiana has to offer. 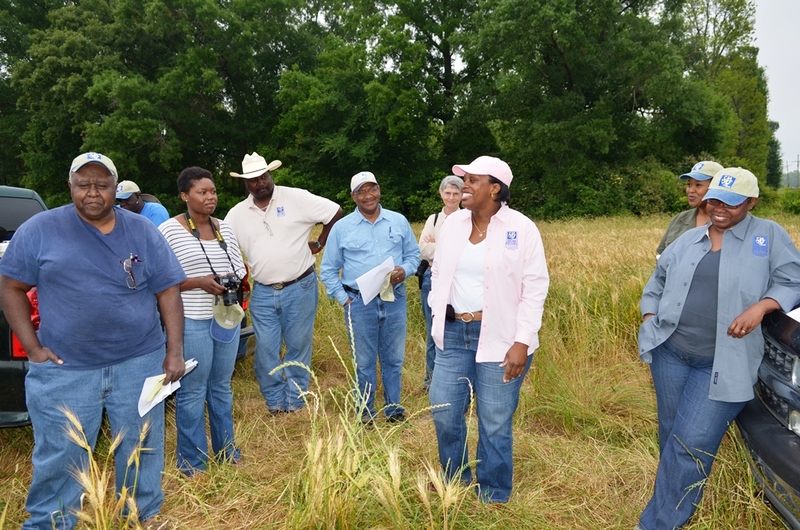 Ware has attended trainings and classes offered by the Southern University Agricultural Research and Extension Center on and off for years. But, it wasn’t until he enrolled in the Louisiana Small Farmer Agricultural Leadership Institute that the trainings paid off in a big way. He cites a particular training that has had a major impact on him, his business and his family. 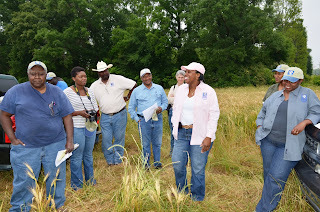 At that training, the leadership class participants had a round table discussion with the leaders of the United States Department of Agriculture agencies in Louisiana, namely, the Farm Services Agency, Rural Development and the Natural Resources Conservation Service. At this meeting, Ware learned about the Environment Quality Incentives Program (EQIP) offered through NRCS. He once visited the local NRCS office many years ago and was told that the agency had no programs that he could benefit from, so he never returned. NRCS: Natural Resources Conservation Service. Mr. Ware is one of a few African American farmers in his parish. He saw the improvements that were being made on the larger farms, but just assumed that those farmers were having improvements made to their land. He had no idea that there were government programs assisting with land improvements. As a result of hearing about EQIP during the leadership class, he visited the office and enrolled in the EQIP program. Several practices were employed on his farm. Through the EQIP program, more than over half of his 400 acre farm was precision leveled. This one practice increased his wheat yield two-fold and his income by $100,000 annually. Another benefit of the Small Farmer Agricultural Leadership Institute that Mr. Ware said he received was an increase in self-confidence and motivation. During these training sessions, he realized that he wasn’t just a minority farmer, or an ordinary farmer. He indeed was just a very good farmer and that was something to be proud of. 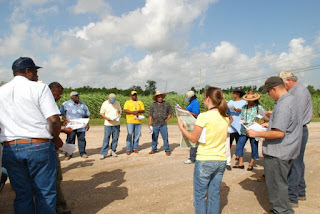 The Louisiana Small Farmer Agricultural Leadership Institute was funded through the Outreach and Assistance of Socially Disadvantaged Farmers and Ranchers (2501) program. Dawn Mellion-Patin, Ph.D., MBA, Agricultural Specialist, serves project director and can be reached at 225-771-3532. Baton Rouge, LA - The Southern University Agricultural Research and Extension Center will hold its 70th Annual Livestock Show for youth participants, February 28-March 2, 2013 at the Maurice Edmond Livestock Arena, 14600 Scenic Hwy, Baton Rouge, LA 70807. During the three-day event, young farmers and ranchers from across the state will have the opportunity to display animals that have been showcased or have won in parish competitions. To this end, the Southern University Ag Center's Vice-Chancellor for Extension, Gina E. Eubanks and the Livestock Show Manager, Christie Monroe have shared some information on the history of the show. Click here to watch Dr. Eubanks’ video and here for Mrs. Monroe’s. Baton Rouge, La - Louisiana Small Farmer Conference themed “Enhancing Opportunities for Louisiana Small Family Farms” will take place March 14-16, 2013 at A. O Williams Hall. 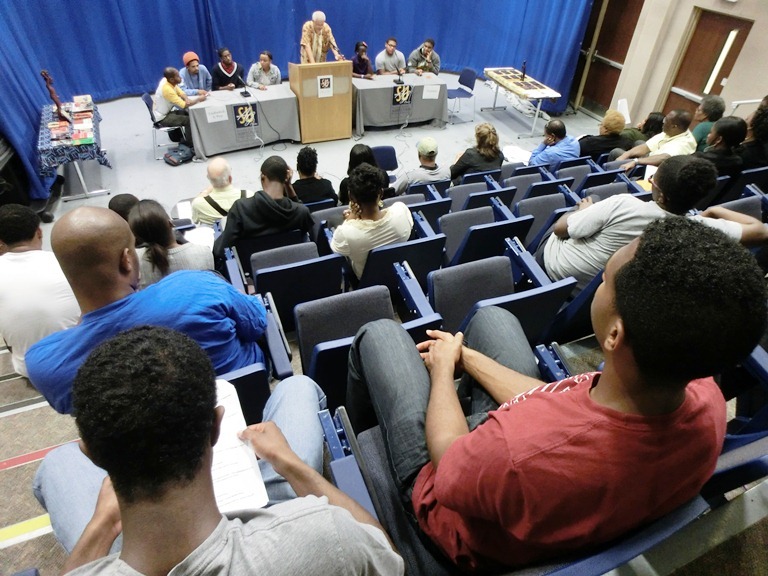 The Black History Quiz Bowl is an exciting educational event that stimulates our students. All divisions, clubs and other organizations and individual students within the College of Agriculture, Family and Consumer Sciences form teams including students from other colleges for this event with encouragement from faculty members. Each team consists of four players, one of whom serves as captain. The competition covers a variety of topics, including current events, politics, history, sports and entertainment. Teams must sign the roster in the Dean's complex by Wednesday, February 13, 2013 in order to participate. The Southern University Agricultural Research and Extension Center and College of Agriculture, Family and Consumer Sciences jointly support the Black History Quiz Bowl under the leadership of Owusu Bandele, Ph.D., Professor Emeritus, Horticulture, SU Ag Center. For a copy of the study guide and further details, please contact Dr. Bandele at obandele@cox.net or 225-771-2242. Study guide can also be obtained by contacting Ms. Sheila Smith in the Dean’s Complex at J. W. Fisher Hall, Room 102; calling (225) 771-3660 or emailing sheila_smith@subr.edu. Below: Motivated employees chant "Yes we can." 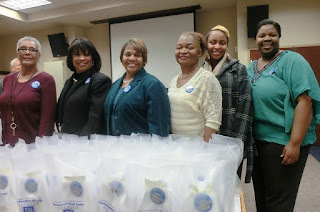 Baton Rouge, LA - The Southern University Ag Center’s spring 2013 convocation and planning conference concluded on a high note, January 9. The conference which brought together all employees for retreat, reflection, and interaction focused on strategies to facilitate the development of a plan that meets and addresses the needs of the Ag Center’s clientele. Professor Emeritus Kirkland Mellad, Vice Chancellor for research, and Professor Emeritus Owusu Bandele, horticulture, joined the team in charting a path for the Center’s future. The conference educated and guided faculty and staff on developing the 2014-2018 five-year rolling plan of work for the Ag Center. In his state of the SU Ag Center address, Chancellor Williams praised the faculty and staff for resilience in the face of budget cuts and emphasized the need for accountability under the current economic crisis. Additionally, he asked the faculty and staff to be diligent in their deliberations by designing programs and activities that will meet and address the changing needs of clients. Gina E. Eubanks, Vice Chancellor for Extension and Adell Brown, Jr., Executive Vice Chancellor & Vice Chancellor for Research brought greetings to the convocation participants, praising past performance and encouraging future innovation in generating new skills, techniques and tools that will ultimately generate revenue for the SU System. The convocation was culminated with a celebration marking the first anniversary of the Southern University System 100% Tobacco-free policy which originated from the Ag Center. 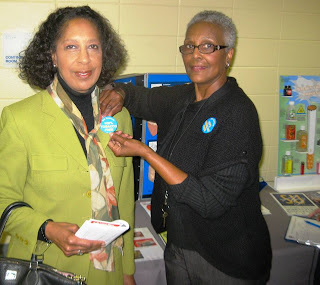 Baton Rouge, LA – This January, the Southern University Agricultural Research and Extension Center’s Communities of Color Network (CoC) celebrates the first year anniversary of the Southern University System 100% Tobacco-free policy. The policy, in general, means that use of tobacco products is prohibited by students, staff, faculty or visitors in all campus buildings, facilities or property owned or leased by the SU System. The policy aims to make the SU System a healthy place to live, work and learn. In an effort to celebrate this magnificent accomplishment, CoC will implement some activities statewide throughout the month. The network will provide informational booth displays to include policy handouts at Freshmen Orientation and Convocation; an anniversary celebration cake; a T-shirt Design contest for a 100% Tobacco-free logo; a Smoke Out/Cookout for students, faculty and staff. For the past year, CoC has been involved with educating the university family and the community at large regarding the policy. The Communities of Color Network is a tobacco initiative funded by The Louisiana Campaign for Tobacco-Free Living. For further detail, please contact Linda Early Brown at 225 771-4456. Baton Rouge, LA - The Southern University Ag Center’s 2013 convocation and planning conference kicked off with a general session presided by Chancellor Leodrey Williams. Executive Vice Chancellor & Vice Chancellor for Research, Adell Brown, Jr., and Vice Chancellor for Extension, Gina E. Eubanks, joined the Chancellor in welcoming faculty, staff, and some professor emeriti of the Ag Center to the event held in Ashford O. Williams Hall, January 7-9. The conference brings together all employees for a time of retreat, reflection, and interaction. The focus of the conference is to facilitate the development of a plan that meets and addresses the needs of the Center’s clientele. 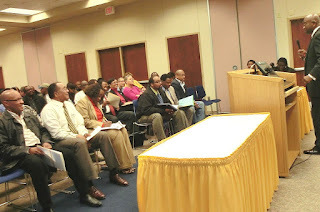 Faculty and staff were recognized for years of service following the state of the Center address by the chancellor.